By Carol Cushman, senior warden of St. Andrew’s. Saint Andrew’s roots are deep, providing continuous worship services since July of 1895. 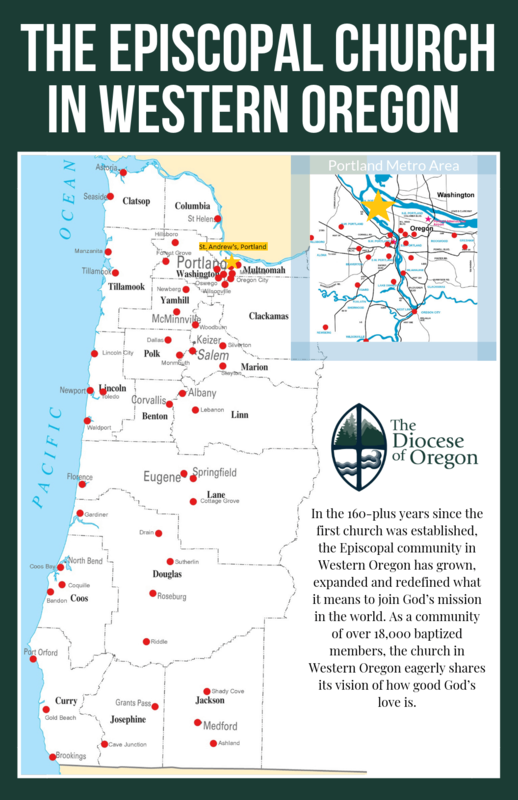 We have struggled at times with a lack of consistent clergy, but we were grateful for the support of the bishop and the diocese. Members step up in many roles to keep moving forward in Christ. 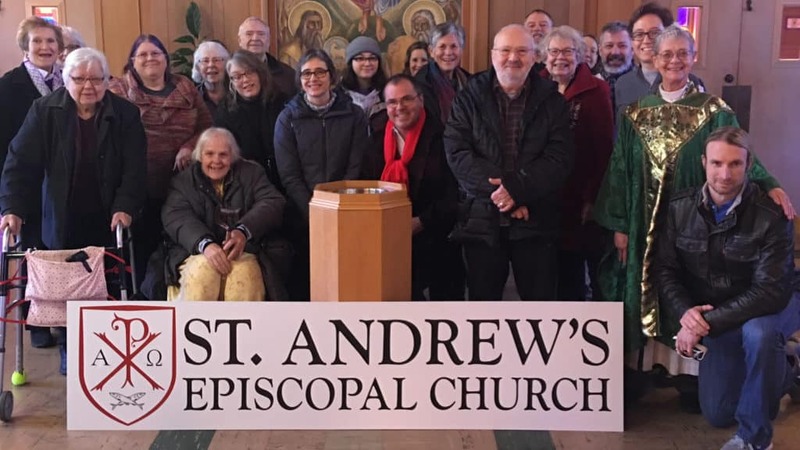 St. Andrew’s Episcopal Church in North Portland is pleased to once again feel that we are moving forward. We have recently called a new vicar, Jonna Alexander. Our visioning committee, led by Michael Henry, our able junior warden, is taking a fresh look at our property. We are developing a unified plan to be responsible stewards. An urban farmer is growing produce for market in the front yard with our food pantry receiving fresh fruits and vegetables from the bounty. 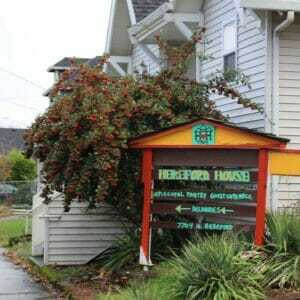 Half of the “old” church, the Hereford House Pantry, offers food and other necessities to those in need in our community. We are working on the upper half (a painting party is in mid project) as we seek a compatible tenant who will provide health services to the community and income to promote sustainability of the parish. The Undercroft is filled during the week with the sounds of Scouts, drummers, piano, and Capoeira. The kitchen hums with sounds of preparations for our frequent Sunday brunches, and we are exploring sharing the space with a group providing soup for the houseless downtown. The spiritual life at Saint Andrew’s continues to grow. Through inclusive hospitality new members have joined and are active participants serving at the altar, as readers and in many other ways. Adult formation classes are part of the week, additional services and pastoral care enliven the life of the community. The Saint Andrew’s community is excited to see where the Holy Spirit leads us next. We invite you to come join us one Sunday. Visit the St. Andrew’s website.